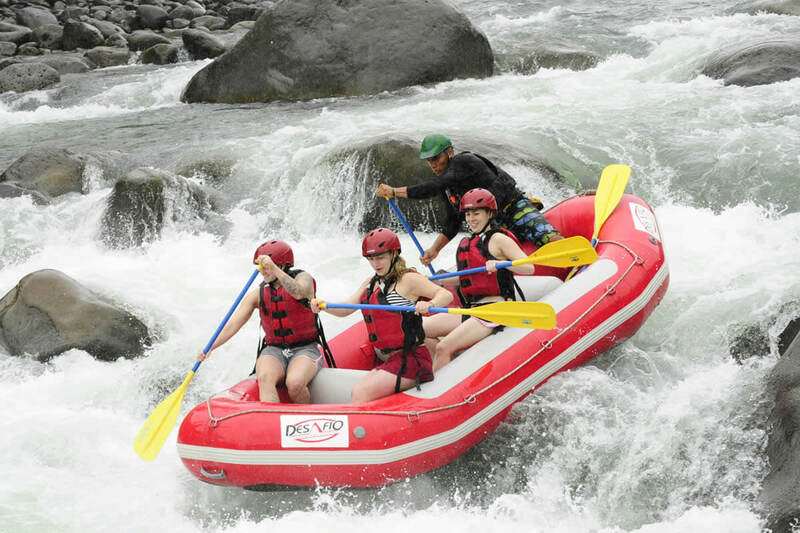 We try to make your vacation as easy and affordable as possible so we have combined two of the Arenal Volcano Costa Rica area's top two tour options: rafting the exuberant class 2-3 Rio Balsa with soaking in one of our beautiful hot springs attractions. 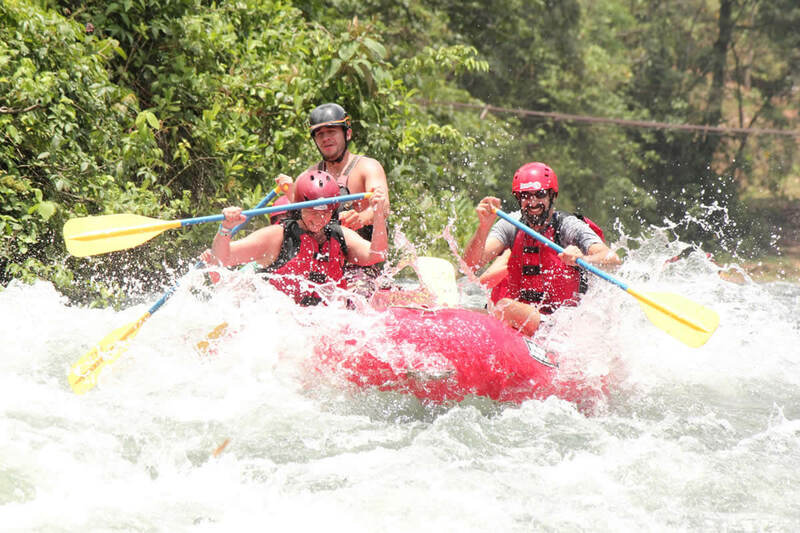 The town of La Fortuna is surrounded in deep rainforest with many adventure activities available. 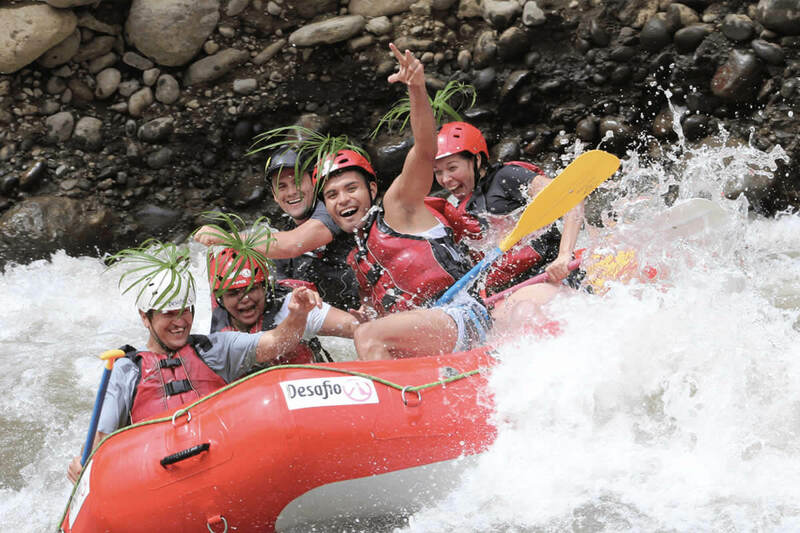 In addition, La Fortuna is considered the Hot Springs Capital of the World making it one of the best places in the world to do adventure tourism. We like to say: Live the Adventure -- Relax in Pure Nature! 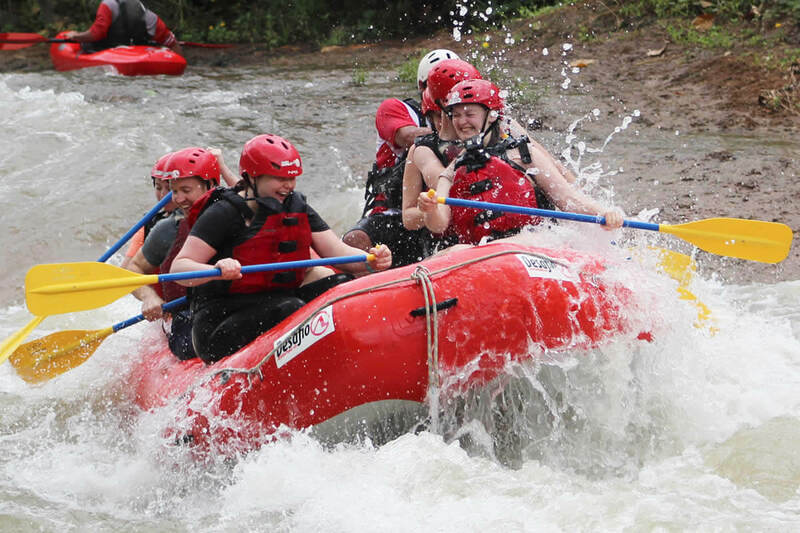 That's why we know you will love this Arenal Rafting with Hot Springs and dinner COMBO. 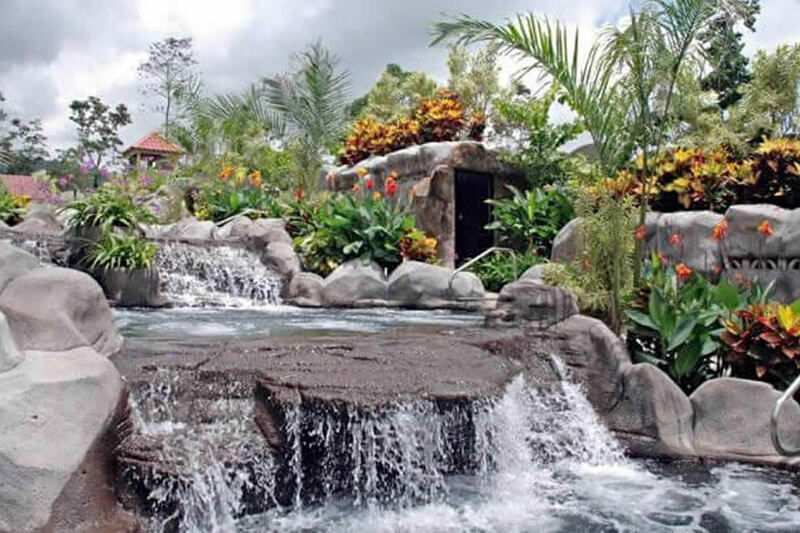 After being picked up in our air-conditioned vans equipped with WiFi, you'll arrive at the Balsa River at our private put-in that is eqipped with restrooms and changing rooms for your convenience. 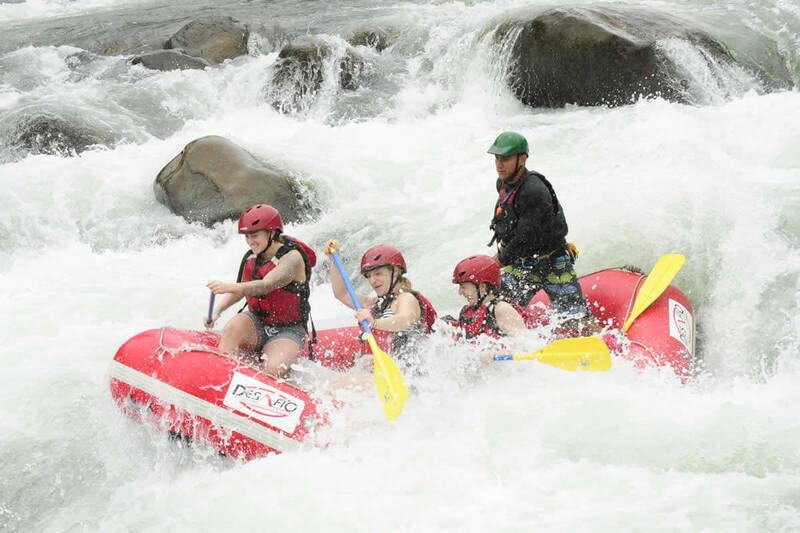 Your experienced bilingual guides will give you a safety talk with paddling instructions, NRS life jackets, and Pro-Tec helmets. 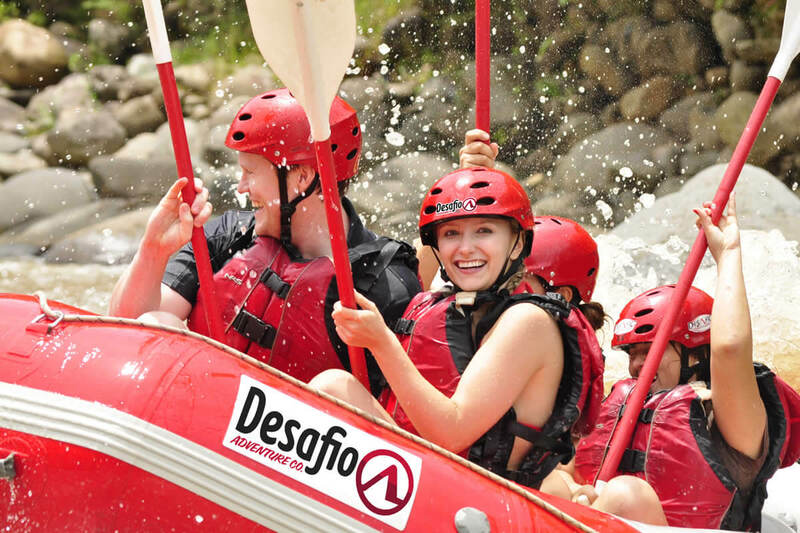 Then you're off to challenge yourself as you paddle through fun & safe rolling rapids with names like "Congo Loco" & "Rock around the Croc" and the very technical and challenging "Las Dragas" section. Play around in tranquil river pools in an isolated rainforest river canyon while taking in all the wildlife around you! 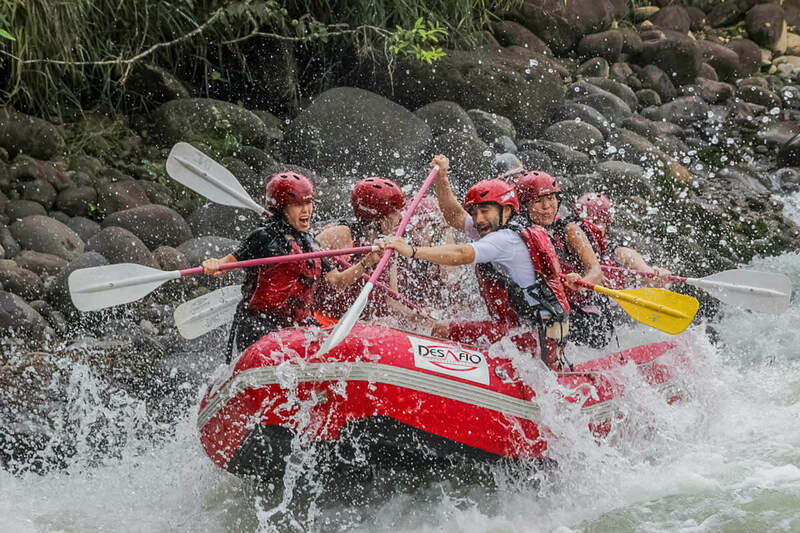 You'll be on the water for about 2 to 2.5 hours, paddling along 10 kilometers of lush Costa Rican rainforest. Hopefully you'll get to see lots of wildlife like monkeys, sloths, and tropical birds such as Ospreys, Oropendolas and Toucans. 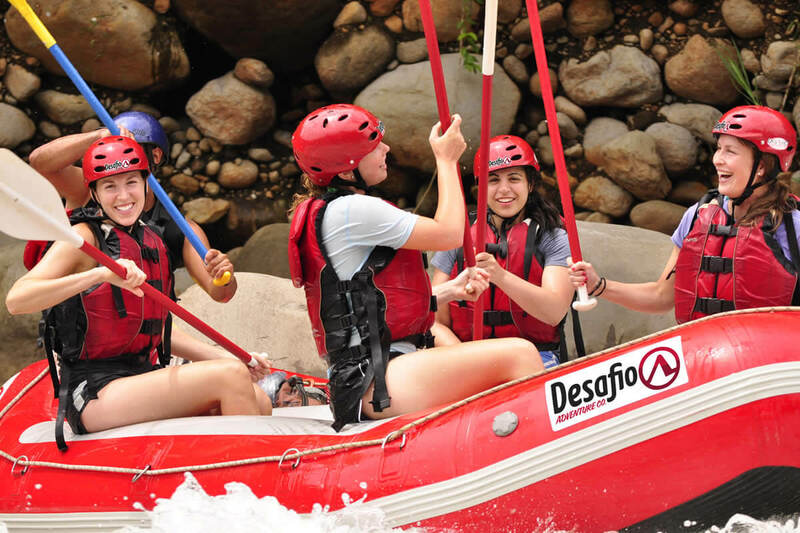 The Río Balsa is dam-controlled, so we are guaranteed good water levels all-year long! Half way through you'll break for a snack of tropical fruit and then afterwards you will be treated to a delicious home-cooked meal! 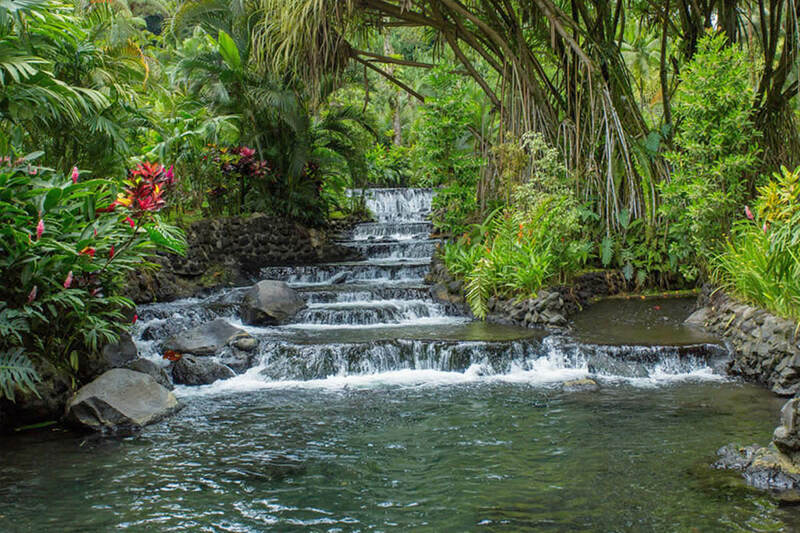 When you are ready, we'll take you to the hotsprings where you can relax your mind and body before heading to the restaurant for dinner. This is an ideal day trip for couples, families or groups of friends! Transport to/from your hotel, fun and professional guides who love what they do, tropical fruit break, delicious home-cooked meal, private entrance and exit with changing rooms and bathrooms, towel and relaxation at the hot springs with a delicious dinner to follow.